Do you lie to others about the amount you are drinking? Do you find yourself relying on alcohol to help you unwind? Are others worried about the amount you are drinking? The answers to these questions will determine whether you have a drinking problem, but, there is more to it than this. You may find it easier to consider whether your levels of drinking are causing you a problem on a day to day basis? If it is infiltrating everyday life, then, absolutely, there is a problem. It may be that you drink every day, you may binge drink or, you may put yourself in dangerous situations and drink and drive. Alcohol abuse can quickly spiral into a dependency on alcohol and this means that physically, you will be addicted to alcohol as a substance. 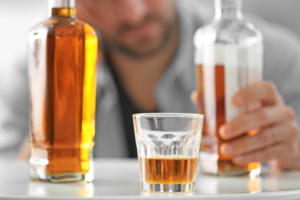 Most people dependent on alcohol are not able to give up on their own. Any addiction can be so overwhelming. It doesn’t make you weak. You probably need professional support as alcohol dependency is a serious issue and it can spill into every aspect of life. Treatment, of course, will depend on the extent of the problem. But there are various options and there will be a treatment that will help you. Know that you are likely to have to go through a detoxification process which enables you to withdraw from alcohol but there will be trained counselors who can guide you throughout. Whether you attend on a day release or, sign up for an in-house treatment, there will be one to one sessions and group counseling. Importantly, an alcohol addiction just does not go away, there is alcohol abuse help, but, you do need to reach out and ask for it.